Our decorative flooring for the inside living can be proposed in different colours. Our product is designed to perform any customer requirements. 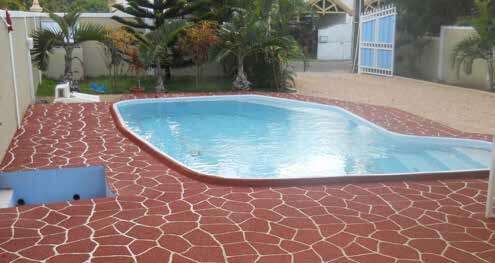 Our decorative slip resistant product around your swimming pool and pathways brings a new look to your house. Our customers can express their own style, with different colours and design that Tusk Contracting proposed.